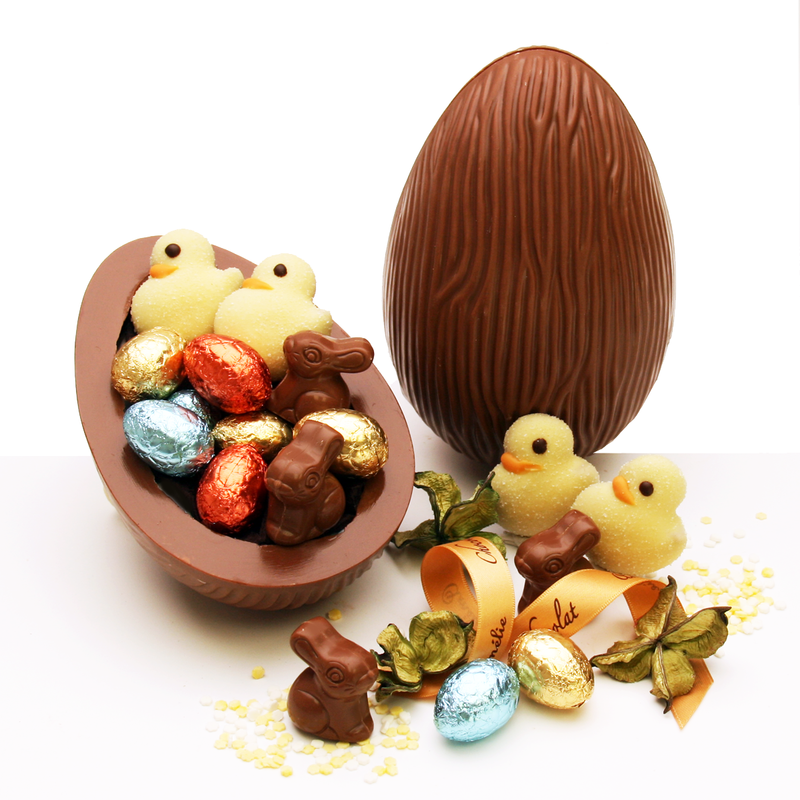 Click the button below to add the Bunnies Ducks & Eggs Easter Surprise to your wish list. A fun filled chocolate egg, brimming with vibrant colours and irresistable treats ... bringing a spring-inspired deliciousness to your Easter celebration. Sweet milk chocolate bunnies and exquisitely decorated sugared ducklings, filled with smoothest creamiest melt-in-your-mouth hazelnut pralines, nestle snuggly amongst prettily foil wrapped mini chocolate easter eggs. Presented in fans of cellophane, and adorned with satin ribbon and your personal gift message ... a truly luxurious Easter gift.